With the main stage unfortunately washed out, we squeezed into the acoustic tent, mic’d up a plastic chair, and plugged into the PA for a short set. Next gig: Bird’s Nest, Deptford on the 29th June (with proper backline and drum kit!). 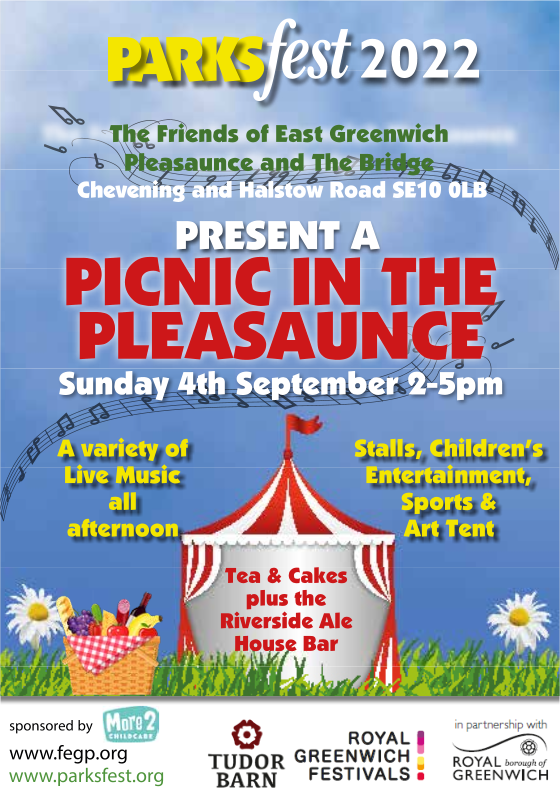 Early afternoon we’re playing at the Parksfest event at East Greenwich Pleasaunce at 12.30, then dashing over to Plumstead for the Make Merry, where we’re on around 5pm.